Botanique @ Bartley is a 99 leasehold new residential development by honorable Developer-UOL group, located at the highly searched after district 19 of Singapore. 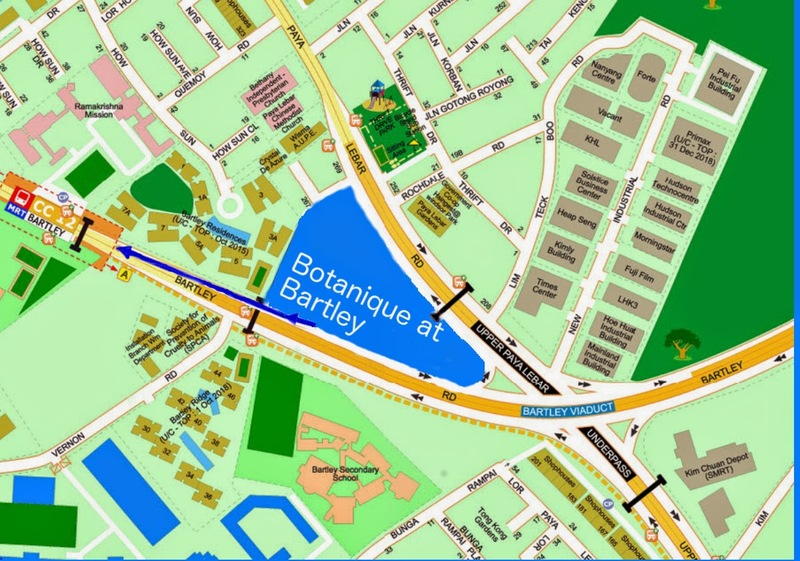 Botanique at Bartley is only around 350 m away from the Bartley MRT station on the Circle Line. Botanique at Bartley condominium consists of the common 1 br and 2br,3br There are also spacious 4br condominium that are ideal for big families. The development comes with special facilities such as gymnasium, pool, play area and a club. Educational schools such as AUSTRALIAN INTERNATIONAL SCHOOL,DPS INTERNATIONAL SCHOOL, STAMFORD AMERICAN INTERNATIONAL SCHOOL, MARIS STELLA HIGH SCHOOL, PAYA LEBAR METHODIST GIRLS' SCHOOL (PRIMARY) and CEDAR PRIMARY SCHOOL are also in the enclave. Premium connectivity which cater outstanding access to all regions in Singapore, as such Botanique is mins drive to the nearby KPE, which links to most expressway. Bidadari Estate is merely mins away, a forthcoming HDB estate by Singapore HDB. This estate will be a self substain with amenies such as supermarket, coffee shops and so on , thats is require by a neigbourhoob.